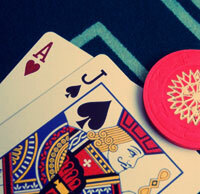 Card counting is a really profitable strategy if you know how to apply it. There are some variations of this strategy. But as almost all the strategies used in blackjack, this one is also based on the blackjack basic strategy. You might have watched "21" movie where it is explained how to count cards. This movie is based on a true story of the MIT team. They were the card counters and they used Hi/Lo system. They won a lot, they lost a lot and they are the most famous card counters ever. It is a high-low card counting system. Harvey Dubner was the first one to offer this system to the world and well-known Edward Thorp was the one to improve this system and brought real head-ache to the casinos and pitt bosses. The system is used both by the professionals and the beginners. And it is so popular among the card counting teams. Everything starts with the blackjack basic strategy. It is something you are to learn by default. You memorize the strategy and then it is easier to count the cards as you are not going simply to count the cards but play as well. You track each card dealt on the table both for the players and for the dealer because every single card is counted. You are to practice first before betting real money and blowing them. You should always remember that it is a balanced system. Remember, you start with 0 and end up with it. If it does not fit together, you made a mistake or many mistakes. The most interesting and exciting part starts when real betting takes place. Just like in the 21 movie, where was a sign when the table became "hot". It means that you are waiting for the high positive numbers. You wait until the moment when the low cards are out of the deck (they are counted as -1). The high cards stay and it is time for Naturals. Card counting also gives you an understanding when should stop betting big. When the table cools down and the count is in large negative numbers you can leave the table or make small bets. Remember, we were talking about basic strategy base? That is how you increase your odds. The house edge (glossary) lowers for your benefit. It is an unbalanced system of card counting. It slightly differs from the Hi/Lo system though. There is actually one main difference. If in the Hi/Lo system you count 7 as 0, here it is counted as +1. As you might have noticed, it is not a difficult system to learn. It is supposed that this system was designed to facilitate card counting. There is even the way to find out the running count of the cards. You simply divide the true count by the number of the decks, which were played already. The main benefit of the system is that you do not have to do a constant conversion. It is really good for the beginners in the card counting.